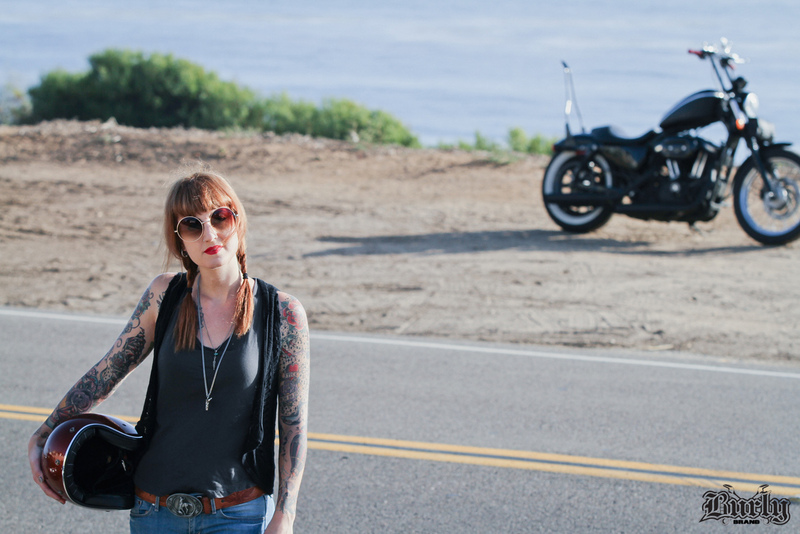 Sanna Maria is a motorcycling woman from San Diego, CA. She’s actually straight out of Sweden, but you wouldn’t know when you meet her… she keeps her accent hidden. 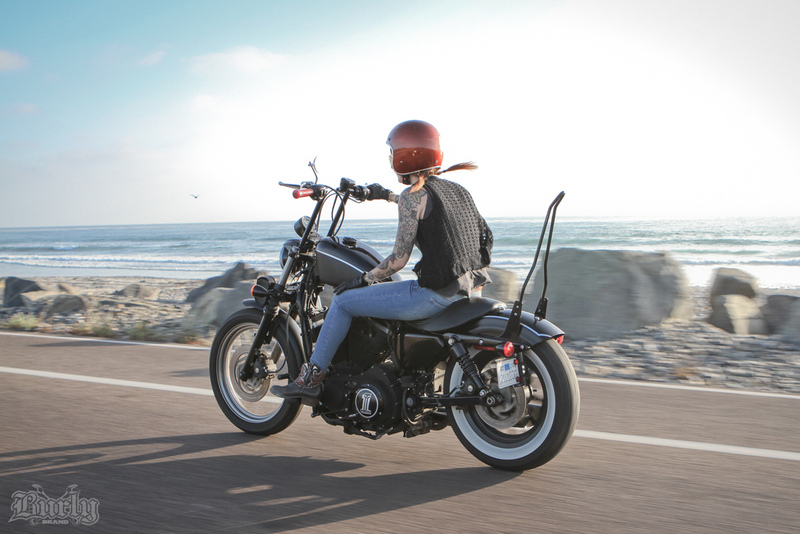 Sanna is a web designer and rides a Harley Nightster with Burly Brand slammer kit shocks in back to bring the seat down a bit. Fun fact, Sanna actually helped with the creation of the new MotoLady website! Photographs by Sean Delshadi from Burly Brand (burlybrand.com).